My oregano was going nutso. So I made an executive decision to harvest it, transplant the best bushes and dig out the weeds. This left me with a lot of herbs to use in a little amount of time. I mainly use oregano in my marinara. 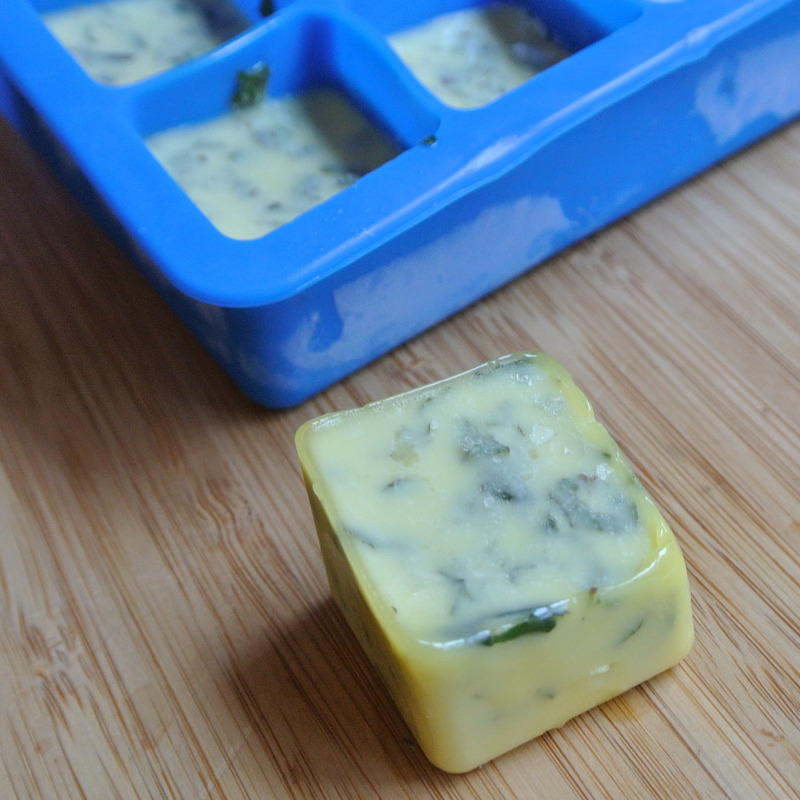 There have been several posts on pinterest about freezing herbs. So I thought I would give it a try. However I don't want added water in my marinara, so I used Olive oil. Perfect. All you have to do is drop in the cubes when you are ready to use them. There you have it. A simple post for those of you that want fresh herbs year round and don't have the patience to garden. Just go to your local grocery and pick up fresh herbs. 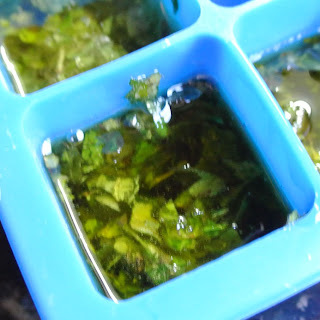 Chop, and fill each ice cube hole 1/2 deep with chopped herbs. I think I need to do the same thing. I have sage and oregano growing out of control. OOO what a great idea! I've been meaning to do this for a while now! Such a great and convinient idea! Buzzed ya!